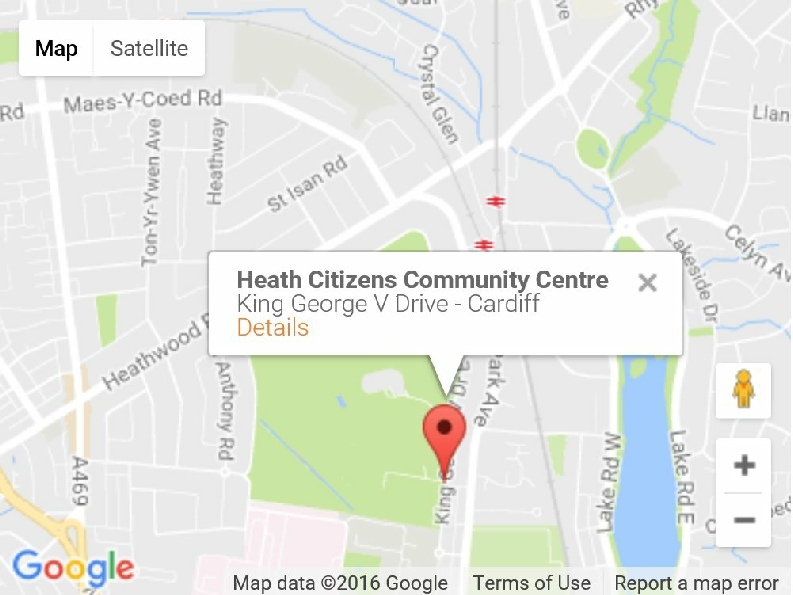 Regular Tuesday meetings and the Monday evening workshops are held at the Heath Citizens Community Centre, King George V Drive, Cardiff. For those of you with a Sat Nav, the postcode is CF14 4ED. Please see the map below.